The upcoming elections in Sri Lanka haven’t exactly caught the world’s attention, but the decisions of Rauf Hakeem, leader of the Sri Lankan Muslim Congress- Sri Lanka’s largest Muslim political party, may have demonstrated one of the most important aspects of democracy in action: protection of the rights of minorities. 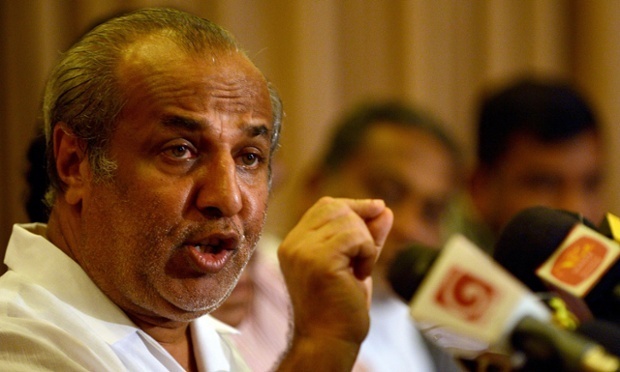 President Mahinda Rajapaksa, leader of the Sri Lankan Freedom Party and the ruling alliance of parties, suffered a setback as Hakeem withdrew support for the coalition and defected support to the opposition. Yesterday’s announcement dealt a major blow to Rajapaksa’s campaign for a third term in office, with more than 20 lawmakers and ministers already defecting to the opposition. Referring to attacks on Muslims from ultra-nationalist Buddhists in June 2014, Hakeem said his party and the nation required guaranteed security for minorities; presently inadequately protected in an overwhelmingly Buddhist nation. Some critics have called the move opportunism, as the election draws near and the Muslim Congress decides to throw its weight behind Maithripala Sirisena, leader of the opposition. However, by stating outright the motivation for making the move, Hakeem has made a very shrewd move; he makes Sirisena duty-bound to protecting the rights of minorities should he win, and alerts the world to look with greater scrutiny on the Sri Lankan situation. If it is just a shallow move to back a younger, faster horse, at least Hakeem and the Muslim Congress have ensured that the official reason for the move is a proper function of democracy- the protection of the rights of minorities- a proper function of democracy that cannot be overlooked in a country with an awkward postwar peace.